Artemis Women in Action Film Festival is proud to honor Levy Tran with the Artemis Action Next Wave Award. Despite only getting into acting ten years ago, Ms. Tran has worked with impressive actors, such as Regina King, William H Macy, James Wan, Michelle Rodriquez, Vin Diesel, and Jared Leto, to name a few. Since her debut on the multi-billion dollar franchise, ‘The Fast and the Furious’, she has gone on to work on recurring roles in ‘The Haunting of Hill House’ (Netflix), and ‘Shameless’ (Showtime), as well as forging a successful modeling career. 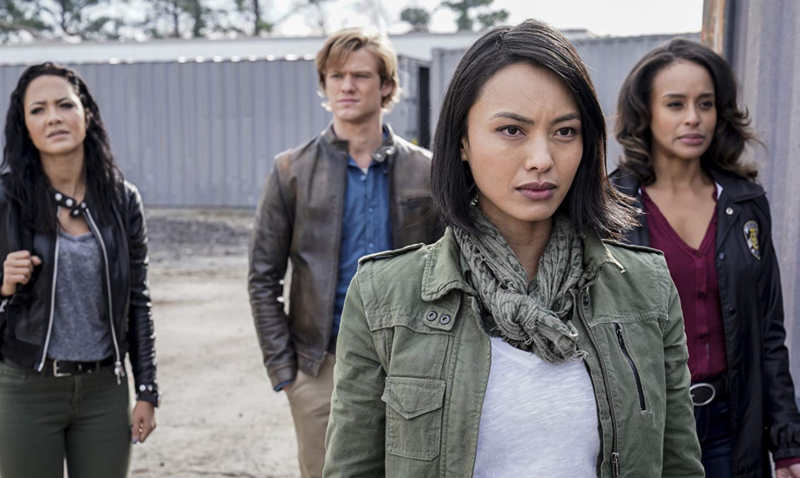 Born in San Jose, California, to Vietnamese parents, she says she proud she can represent the Vietnamese community in her current role as a former military operative on ‘MacGyver’ (CBS). The role requires a high level of physicality that made Ms. Tan in ideal choice due to her martial arts training in eskrima, muay thai boxing, and jiu jitsu. Ms. Tran’s journey into acting was unconventional. After working as a Kindergarten teacher she studied to become an embalmer. But her embalming supervisor saw something in her and told her “You work with death every day. Go live life, and if it doesn’t work out then come back, but for now… go live your life.” And she certainly has. Click here to view Ms. Tran’s IMDb page.